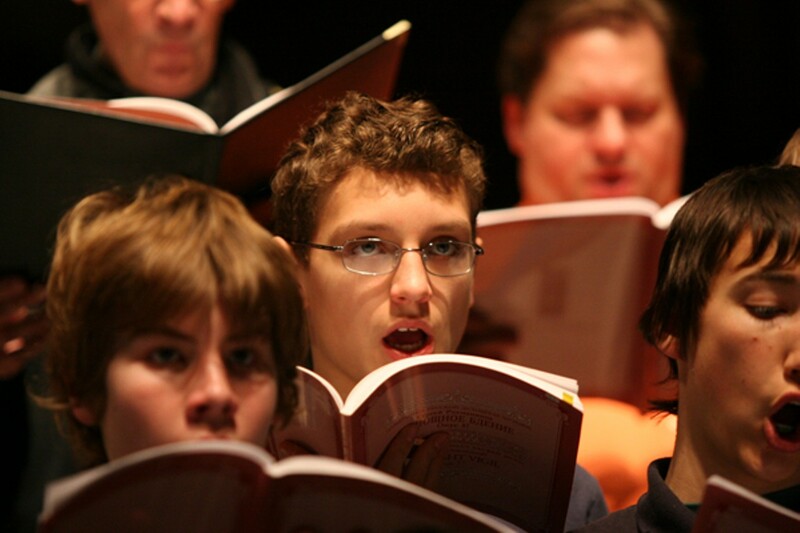 The Oakland boys' choir includes as much Top 40 as it does Rachmaninoff in its repertoire. Pacific Boychoir Academy is one of only four such schools in the country. When Deke Sharon — the music director behind the movie Pitch Perfect and television singing competition The Sing-Off — started singing in boys' choirs at age five, The Beatles had just broken up. The San Francisco native was born and raised on traditional a cappella music, a repertoire often limited to liturgical and classical music, but in college, he helped bring the vocal style into the 21st century. Now his son, a seventh grader at Oakland's Pacific Boychoir Academy, regularly performs his arrangement of "All You Need Is Love." "When I was in elementary school, The Beatles felt very current," Sharon said. "Now pop music is tomorrow's classical music." Aided by Sharon's innovative arrangements, the Pacific Boychoir Academy is creating a new generation of boy choirs, one in which Gregorian chants are treated with the same reverence as indie-rock songs by Noah and the Whale. The private day school is not only unique because of its repertoire; it's also the only boychoir academy west of the Mississippi and one of four in the entire country. Pacific Boychoir Academy started fifteen years ago as an after-school program held at a church in Montclair (the choir is non-denominational). 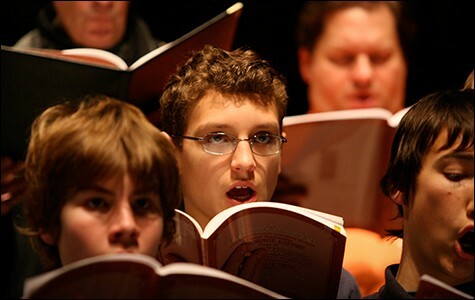 Founder and Artistic Director Kevin Fox, a former teacher at the American Boychoir School in Princeton, New Jersey, said the choir started with six boys, but by the end of the school year, it had grown to 25. As the choir grew, so did Fox's ambitions: The boys went on their first international tour in 2001 to Australia, enabled by local fundraisers and support from parents, and appeared on recordings with the San Francisco Symphony. In 2004, Fox established the day school, offering academics as well as musical training to boys in fourth through eighth grades. The program started with nine students and today has grown to 56, with another 100 boys ages four to eighteen participating in after-school programs. Pacific Boychoir Academy will hold an open house and recital on October 27 and auditions for its after-school choir on October 30. In the tradition of boys' choirs, which date back to the Middle Ages, the day school is focused on training pre-pubescent boys whose voices have not yet changed to the lower ranges of tenor and bass. "It's a race against the clock," Fox said. "That's part of what makes it special." Until recent years, singing — especially by boys — wasn't culturally hip. But television programs helped change that. "Glee certainly helped because it made it cool to sing," Fox said. "If you started a girls' choir today, tomorrow you'd have three hundred members. In this country, it's different for boys to — I don't know the right word — make it normal." To date, the choir has been on fifteen international tours, all of which have taken place during the summer, and won three Grammys from its work with the San Francisco Symphony. On this year's season premiere of America's Got Talent, the choir performed "California Dreamin'" by The Mamas & the Papas, eliciting this response from judge Howard Stern: "I had chills from the beginning. I want to hear a million other songs from you." While common now, choral arrangements for rock and pop songs have only recently evolved, and Sharon is widely regarded as a pioneer of the form. His arrangements for the 2012 film Pitch Perfect have become a mainstream phenomenon: Three songs charted on the Billboard Hot 100, and the album is one of the best-selling soundtracks of 2013. "Twenty years ago, when you heard the word 'a cappella,' it was a punch line — a bunch of Ivy League nerds thinking they were rock stars," Sharon said. "Now it's reached so many people and become a huge hit around the world." Pitch Perfect, which depicts college students singing their way to a national a capella competition, includes creative arrangements of tracks such as "Titanium" by EDM giant David Guetta; "Don't Stop the Music," which was popularized by Rihanna; and "No Diggity," by R&B group Blackstreet. The film was based on the book Pitch Perfect: The Quest for Collegiate A Cappella Glory, which focuses on the leading collegiate a capella groups, including the Tufts Beelzebubs, where Sharon began honing his craft. When Sharon started college at Tufts University in the late Eighties, most a cappella arrangements were sung in simple four-part harmonies, and everyone contributed to the overall melody, he said. The style limited the scope of what the Tufts Beelzebubs could perform. "I wanted to sing rock songs to impress women — the stuff that's cool in college," Sharon said. "So that's where it started." By adding in vocal percussion and beatboxing — a style that's highlighted in Pitch Perfect — Sharon said the Beelzebubs were able to tackle modern music in fourteen-part arrangements. The vocal harmonies were weaved in with textures that mimicked those created by rock instruments such as drums, guitars, and synthesizers. "Rhythm is so integral to pop music that without vocal percussion and beatboxing, it didn't hold together," Sharon explained. "It's an overall different perspective to use voices as instruments." Pacific Boychoir Academy has adopted this style to great effect. The after-school high-school choir, Continuum, has recorded a few of Sharon's arrangements, including the Eurythmics' "Sweet Dreams (Are Made of This)," a video for which has more than 4,000 views on YouTube. Continuum's nine members break the song into multiple parts, with a few singing Annie Lennox's vocals and the rest taking on the hypnotic rhythm section. The choir also maintains a commitment to the classics. Sharon said his friends in the choral world were shocked when they learned that his son would be performing Rachmaninoff's All-Night Vigil in its entirety. "These kids, in addition to rigorous academics, are getting fifteen hours of music education a week and singing choral works that confound many adults," Sharon said. "The school is beyond special. The choir can hop between styles effortlessly and take you on a four-hundred-year musical journey."